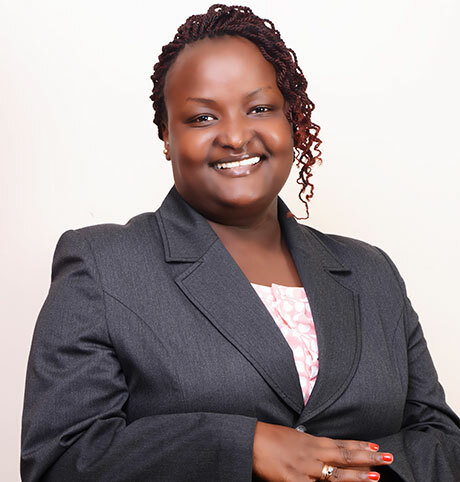 Judy Kabubu is a Senior Associate in the Banking and Finance and Real Estate practice areas. Judy’s areas of specialization include banking law and securitization, property law and conveyancing, corporate and commercial work, trademark law and succession matters. She is an Advocate of the High Court of Kenya with over 8 years of experience, she is a Commissioner for Oaths and Notary Public and a Certified Public Secretary. Judy is a member of the Law Society of Kenya, East Africa Law Society and the Institute of Public Secretaries of Kenya. She is undertaking her MBA in Public International Law.